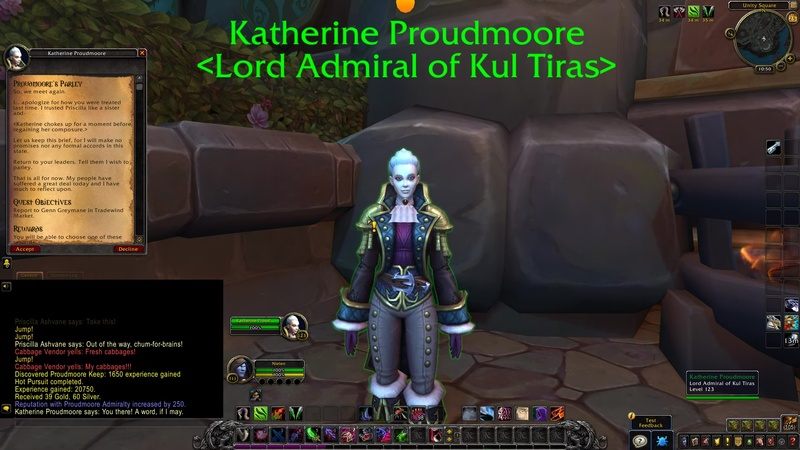 Katherine Proudmoore: So, we meet again. I… apologize for how you were treated last time. I trusted Priscilla like a sister and- (Katherine chokes up for a moment before regaining her composure.) Let us keep this brief, for I will make no promises nor any formal accords in this state. Return to your leaders. Tell them I wish to parley. That is all for now. My people have suffered a great deal today and I have much to reflect upon. 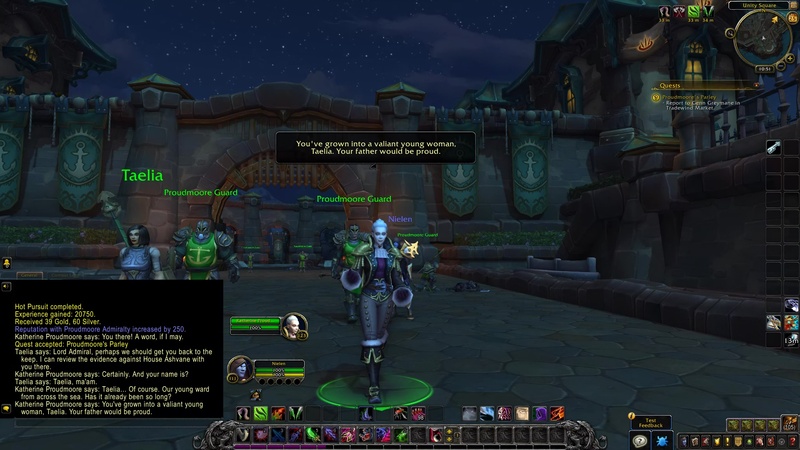 Report to Genn Greymane in Tradewind Market. Taelia: Lord Admiral, perhaps we should get you back to the keep. I can review the evidence against House Ashvane with you there. Katherine Proudmoore: Certainly. And your name is? Katherine Proudmoore: Taelia… Of course. Our young ward from across the sea. Has it already been so long? You’ve grown into a valiant young woman, Taelia. Your father would be proud. 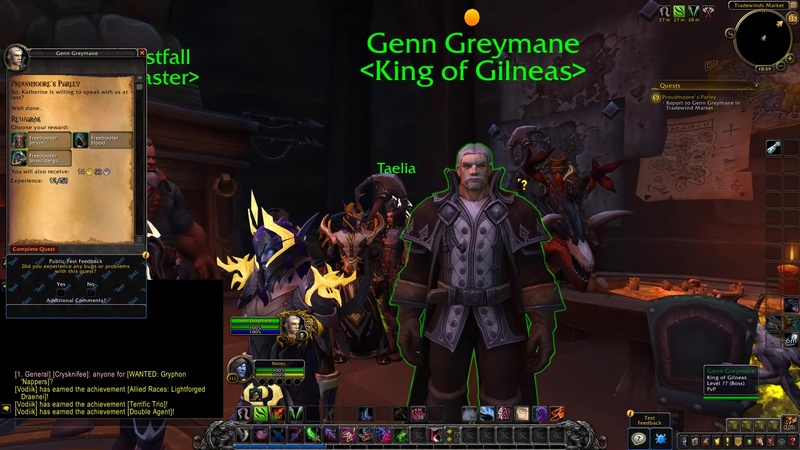 Genn Greymane: So, Katherine is willing to speak with us at last? Well done.